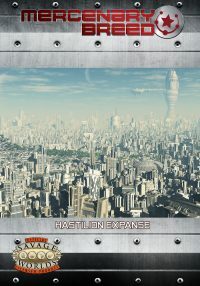 The mercenaries spied a small door to their right which led into the warehouse. The mist only became thicker the closer they approached the door. Assuming their regular positions, Geremiah tapped the control box. 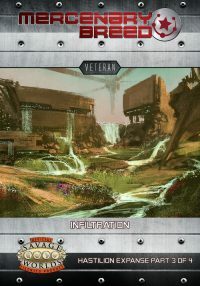 The mercenaries froze as they stared into the creatures’ nest. Sthol reached out and tapped the control box again, closing the door. The mercenaries stepped back, staring at each other with discerning looks. 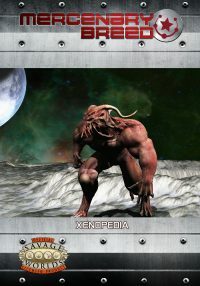 Mercenary Breed is designed to embrace all styles of science fiction setting and campaign design with a number of toolkits and discussions to make that happen. 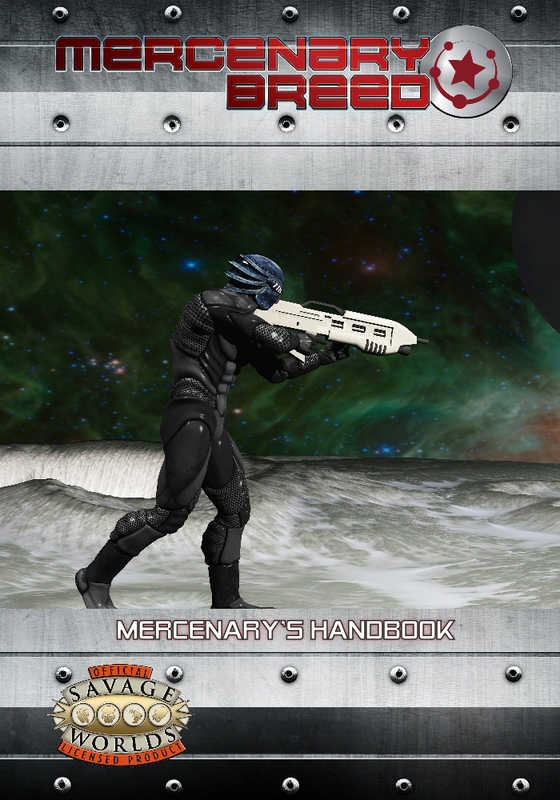 Mercenary’s Handbook provides the character options players can choose from to create those different characters including those utilizing Tech Backgrounds – the sci-fi equivalent of Arcane Backgrounds, but based on technology.